We've got a little bit of heat still to come here in East Tennessee, but fall is well on its way, bringing crisp air, camp fires, and the perfect weather for camping. And autumn will come even earlier up in the mountains, where the cold starts nudging in around September and stays until April. So stuff those sleeping bags and synch up your packs to the tune of these great overnight escapes near Knoxville. [Max Patch] is famous for its grass-covered summit stage, which offers long range views in every direction. The view is framed to the southwest by the northern giants of the National Park: Mt. Guyot, Mt. Sterling and Big Cataloochee. The Plott and Great Balsam Ranges paint the southeastern skyline while the towering crest of the Black Mountains stands guard to the east and the Roans to the north. The Patch, affectionately referred to by locals, is surrounded by picturesque rolling hills and mountains leading up to these mighty ridgelines in three directions. To the west however, an uninterrupted view over the lush expanse of Tennessee allows for a famously stunning sunset view. Sounds good, right? But don't think you have to drive home after the sun sets. Camping near Max Patch is a great experience not held exclusively for thru-hikers on their way to Katahdin. 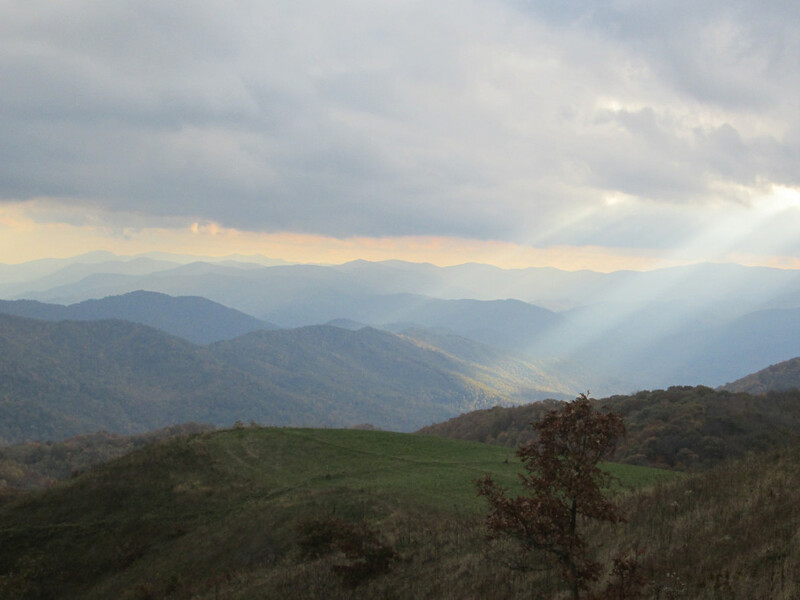 While camping is discouraged on the top of Max Patch, there are prime camping spots just past the summit along the Appalachian Trail as well as other spots scattered nearby. Note that this is all primitive camping, so pack in and pack out all the toiletries and food you might need for your trip. 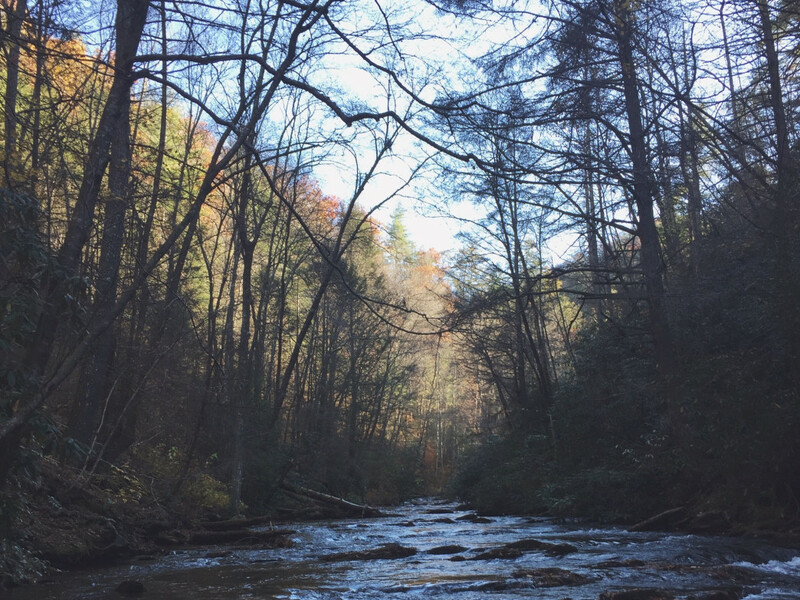 If you'd like to modify your weekend trip, you can always hop back on I-40 and explore nearby Big Creek. Quality waterfalls and mountain streams rivaling those found in the Smokies will greet you in this “out-of-the-way” park. The often-empty trails at Frozen Head take you down lonely corridors and to fantastic overlooks like the 360-degree view of the Cumberland plateau seen from the fire tower and the valley vistas visible from the Chimney Tops (Don't confuse these Chimney Tops with the trail by the same name found in the Smokies). There are a variety of options for camping at Frozen Head. Twenty rustic campsites are available by online reservation at the Big Cove Camping area, as well as group sites that you can reserve by phone. You'll find hot showers, a sink basin for dish washing, and each spot is set up in standard car camping style with a parking slip, picnic table, grill, and fire ring. There are also eight primitive, fifteen-person group campsites located in the Flat Fork Primitive Group Site Area located on Flat Fork Rd, available on a first-come first-serve basis. If you want to throw on your backpack and set out for a night deeper in the woods, you can find 10 backcountry sites scattered along the 50+ miles of trails in the park. This loop is the most strenuous in our list, with some treacherous climbs and descents. The trail is also not as well marked as some others, so we suggest you bring a detailed map and pay close attention to markings. Burnt Mill Loop: Begin your trip at the parking lot at Burnt Mill Bridge. You'll follow Clear Creek northwest for a while, and will likely see paddlers and fisherman on and in the water as you make your way deeper into the park. When you hit a fork 1.1 miles after Burnt Mill Bridge, take the right branch to reach the John Muir Trail. The left branch would take you on to the rest of Burnt Mill Loop , which you'll have a chance to explore later. John Muir/Beaver Creek Trail: Named for the famous naturalist and conservation advocate, the John Muir Trail snakes its way through the entirety of the park and is as wild in parts as its namesake. 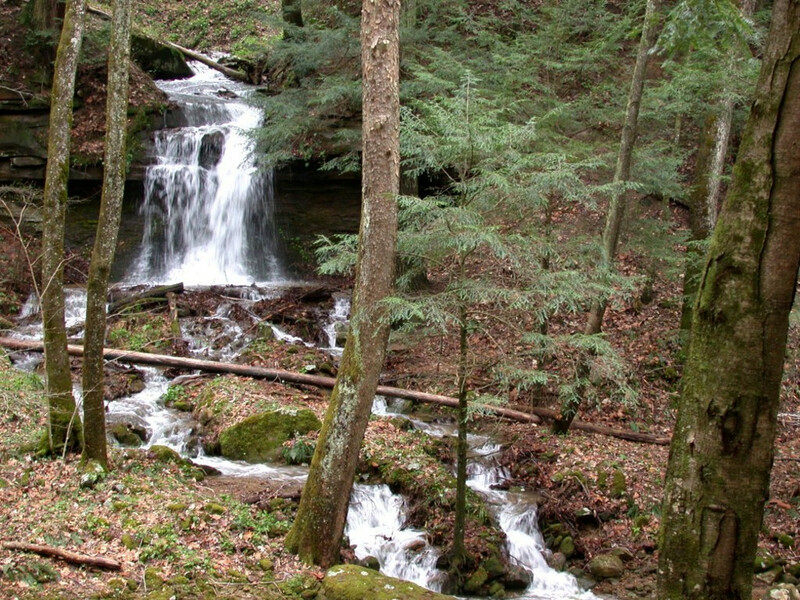 This section, also known as Beaver Falls, is a segment of the John Muir Trail and connects Burnt Mill Loop with Honey Creek Loop. This five mile section has a high density of dogwood and American redbud trees that will make you want to visit again in spring. Honey Creek Loop: Now here comes the hard part. 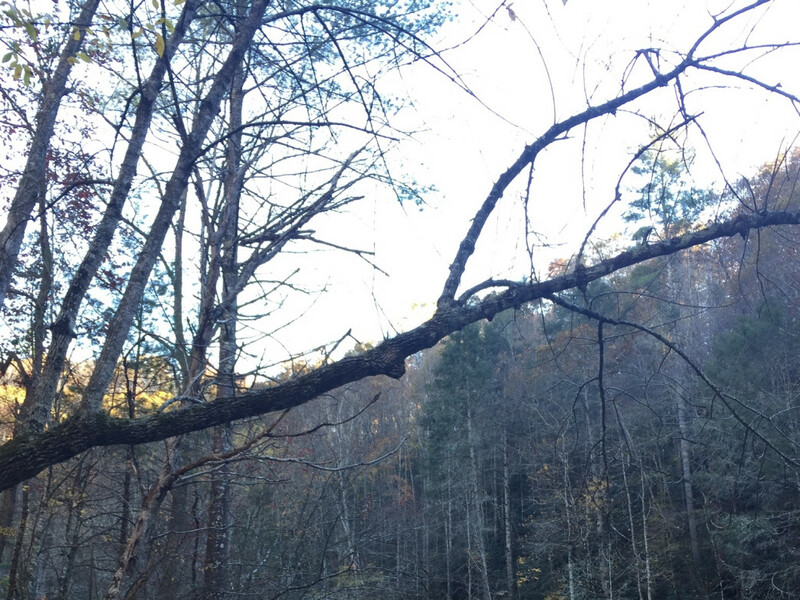 The Honey Creek Loop is thought by many to be the most difficult trail in Big South Fork, and even though it's only 5 1/2 miles along, we suggest you give yourself at least 4 hours to complete the loop. 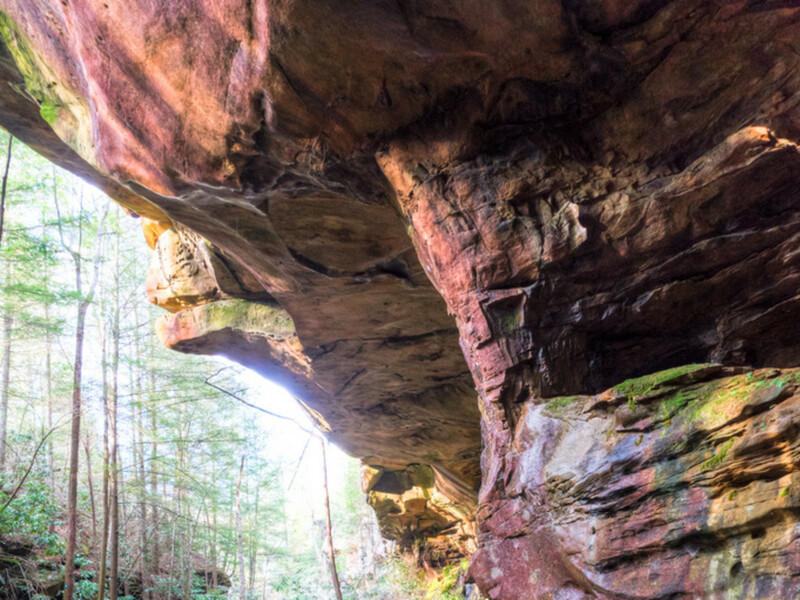 Because of a few tough climbs, narrow squeezes, and water crossings along the trail, we also suggest that overnight campers camp somewhere before the loop and hike Honey Creek with just a day pack. You could also leave a car at the Honey Creek trailhead and stow your extra gear there on the way in. While some people do get lost in the loop, observant hikers with a good map and enough time allotted to complete the loop should be fine. Honey Creek Loop is marked with dark green blazes. After you've completed the loop, double back down the John Muir/Beaver Falls Trail to the intersection. You can head back the way you came, or go west to complete the Burnt Mill Loop. Here's an overnighter for those more aquatically minded among you. 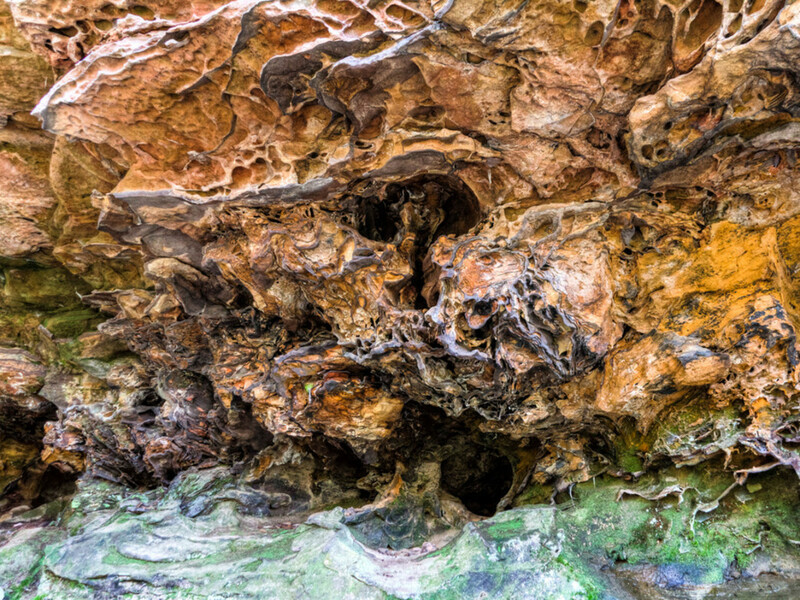 Old growth forest, rock houses and caves, tall bluffs, mountain springs, swimming holes, and waterfalls—these are just some of the sights that await you along Clear Creek. The 20 miles of meandering river are made up of pools, riffles, and rapids that flow around large boulders and between sandstone cliffs. All rapids are navigable, camping is possible just about anywhere along the bank, and logistics of shuttle are easy. Fishing here is as good as anywhere on the Plateau. The natural scenery is largely unspoiled; roads and houses won’t be seen for miles during the middle of this trip. 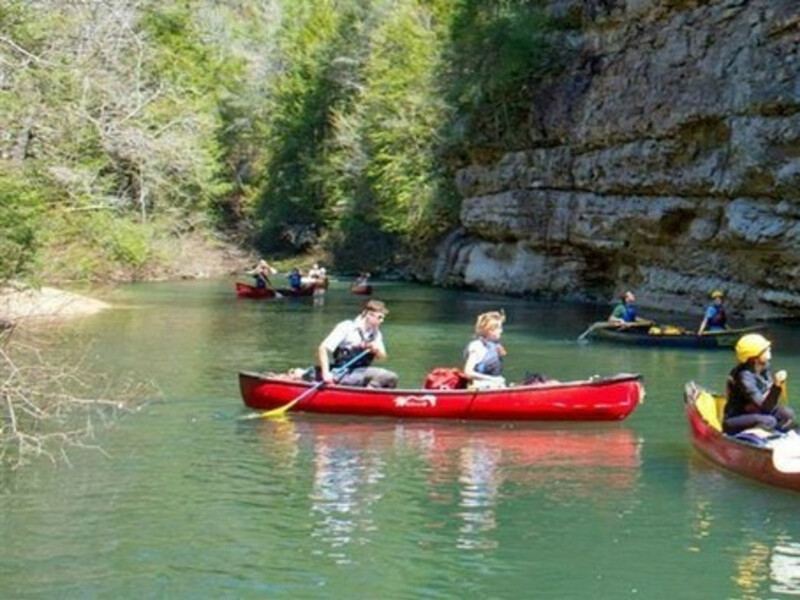 Clear Creek is a perfect choice for paddlers of any skill level who seek a multi-day escape to the outdoors. 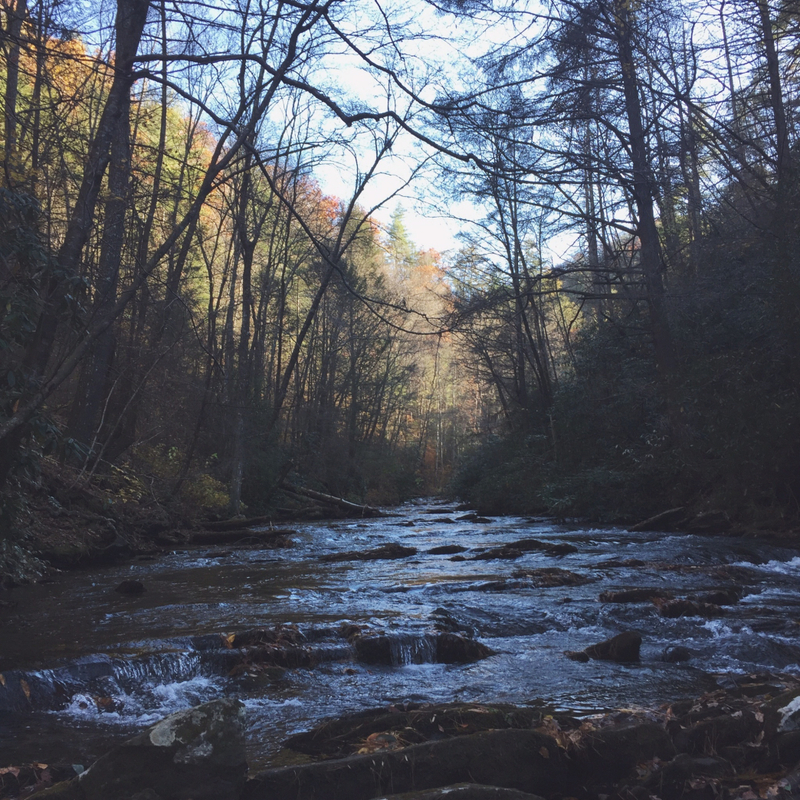 If you're not looking to trudge into the backcountry but still want to spend the weekend away in the mountains, we've got a relaxing alternative that allows you to leisurely explore the beauty of East Tennessee with the promise of a warm bed at night. 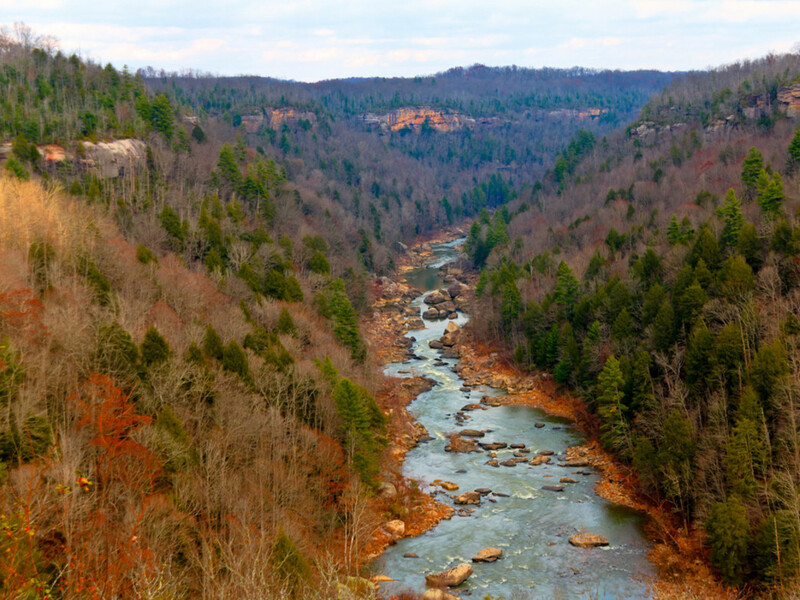 Take the drive-thru journey featured in our Tellico Plains and Fort Loudoun Adventures post, and continue on down the Cherohala Skyway after visiting Bald River Falls. 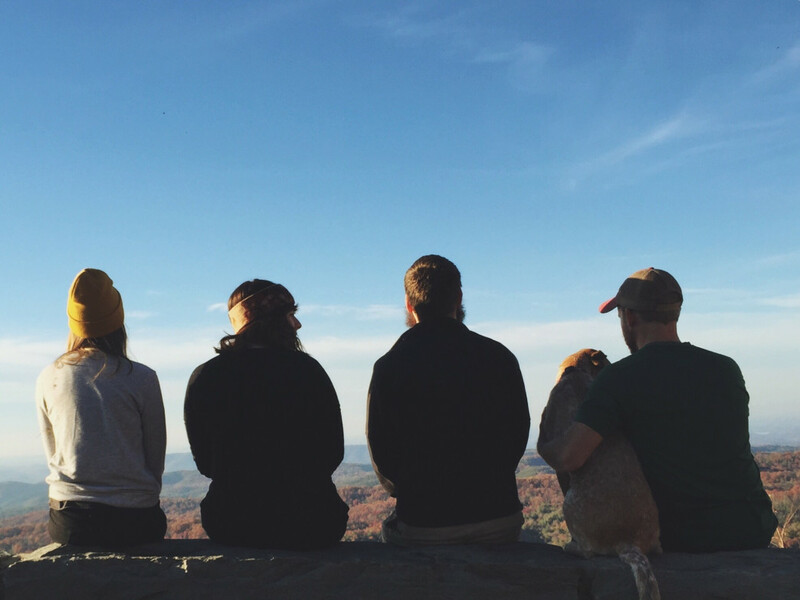 Once you pass the North Carolina boundary, you'll see a pull off near mile marker 8 for the Huckleberry Bald trail, a 2.4 mile round trip leg stretcher that leads to a beautiful overlook. 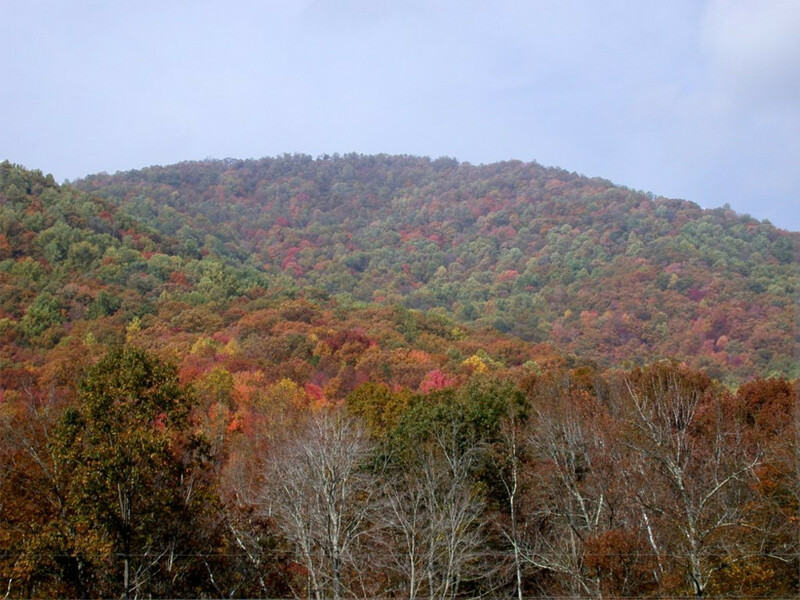 Once you've had your fill of the outstanding vistas of the Cherohala Skyway, you can nestle down in any of the towns east along Highways 123 and 74. Airbnb has made access to dozens of the beautiful cabins tucked away in these little mountain towns accessible with just a few clicks. We stayed in a cozy little cottage in Whittier that was very reasonably priced and still well within the serenity of the mountains. Pack it up the next morning and head up 441 to Gatlinburg and on back to Knoxville.